The IL510-3E DC-correct single channel digital isolators from NVE are a low-cost isolator alternative to opto-couplers, operating up to 2 Mbps over an operating temperature range of −40ºC to 85ºC. These devices use NVE’s patented IsoLoop® spintronic Giant Magnetoresistive (GMR) technology. A unique ceramic/polymer composite barrier provides excellent isolation and virtually unlimited barrier life. The IL510-3E from NVE have a pulse width distortion of 10ns with an isolation of 2.5KVRMS and a transient immunity of 20kV/microsecond, the internal clocking ensures a determined power-up state (“DC correct). 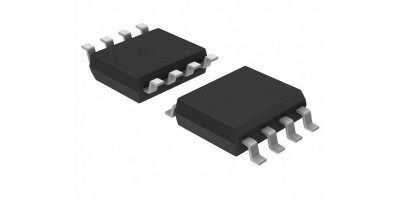 The IL511-1E DC-correct dual channel digital isolators from NVE are a low-cost isolator alternative to opto-couplers, operating up to 2 Mbps over an operating temperature range of −40ºC to 85ºC. These devices use NVE’s patented IsoLoop® spintronic Giant Magnetoresistive (GMR) technology. A unique ceramic/polymer composite barrier provides excellent isolation and virtually unlimited barrier life. The IL511-1E from NVE have a pulse width distortion of 10ns with an isolation of 1KVRMS and a transient immunity of 50kV/microsecond, internal refresh clock which ensures the synchronisation of input and output within 9 μs of the supply passing the 1.5 V threshold. The IL511-3E DC-correct dual channel digital isolators from NVE are a low-cost isolator alternative to opto-couplers, operating up to 2 Mbps over an operating temperature range of −40ºC to 85ºC. These devices use NVE’s patented IsoLoop® spintronic Giant Magnetoresistive (GMR) technology. A unique ceramic/polymer composite barrier provides excellent isolation and virtually unlimited barrier life. The IL511-3E from NVE have a pulse width distortion of 10ns with an isolation of 2.5KVRMS and a transient immunity of 50kV/microsecond, internal refresh clock which ensures the synchronisation of input and output within 9 μs of the supply passing the 1.5 V threshold.